Jenny wants to be a lawyer with a social concsience. Zach’s in it for one night stands with gorgeous students. Why would a successful corporate lawyer volunteer at a legal clinic? Well, Zach Jones figures it’s a great way to meet gorgeous impressionable female students. The moment he sees Jenny Lathrop, he’s knocked out–both literally and figuratively. When he comes to, he wants to get to know her intimately, but her passion is crazy, hopeless causes that horrify him. On first impression, Zach also epitomizes everything Jenny abhors. He’s rich, uncaring about social causes, and slick. How can she make him love not just her, but what she stands for? Frankie Granatelli’s Italian relatives are driving her nuts. At twenty-six, Frankie is considered the spinster of the family, and she’s fine with just making the hats for all the weddings. As for romance-her huge extended family are one big gossip circle, and she can’t stand having her love life discussed and dissected. Her career comes first. Who has time for the whole lasagna? Mother, wife, career woman–she has it on good authority that it’s just not workable. Wedding caterer Eric Thorpe wants to change her mind, but he doesn’t understand the Granatelli grapevine, or just how difficult it is to plan a menu for a wedding. He needs help–and he finds it in the most unlikely place. Charlie Cossini is doing her best to ignore the sun, the surf, the tropical beauty of Haleiwa. Charlie’s work is her life. She’s the boss of her own construction company, and her newest contract is remodeling Reveille Reef. Ben Gilmour views life as one fun adventure after the next. He’s proud to be one of the idle rich, and he’s currently surfing in Hawaii. But when his aging aunt wants her property restored, Ben is put in charge of supervising the job, and to his horror, he becomes Charlie’s boss. Ben figures Charlie’s devotion to work is perverse and unnatural. Charlie is disgusted by his total lack of any work ethic. Can Ben devise a plan to coax Charlie away from her hammers and saws long enough to spend quality time in his arms? The two are diametrically opposed on almost everything—except making hot, passionate love under a tropical moon. 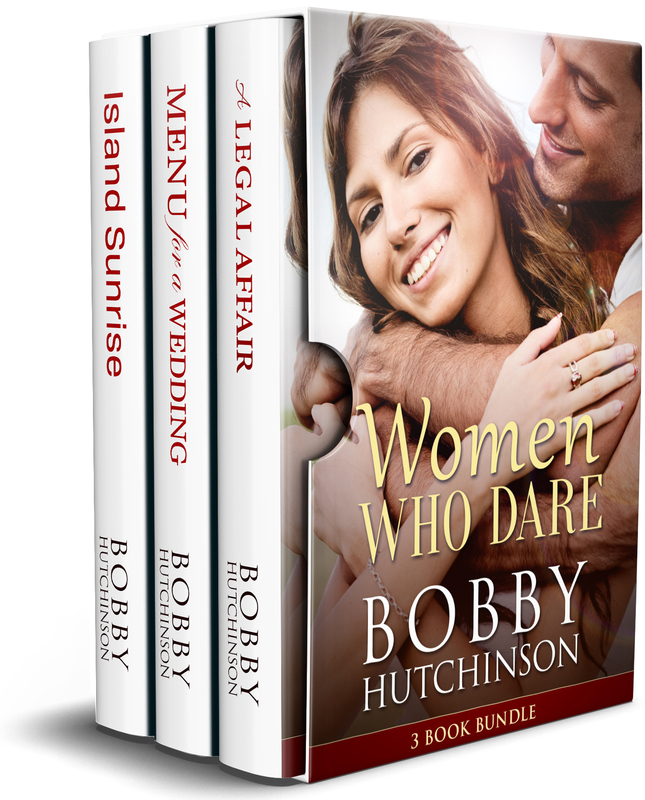 Island Sunrise explores relationships, between friends, between lovers, between family.